The village of Porthleven is Britain’s most southerly port and is brimming with history. It is rare to find a Cornish harbour which faces south-west, directly into the prevailing winds, and Porthleven’s development as a port was always hampered by its orientation. During stormy weather the waves have been known to reach up as high as some of the town’s buildings and houses which can be both dramatic and fascinating in equal measures! There are plenty of historical places of interest around Porthleven; from the abandoned engine houses at Rinsey Head (visible from the cliffs) to the 17th Century inn (The Ship Inn) once used by smugglers, which sits high on the seafront. Along the (sometimes cobbled) streets of Porthleven lie an array of independent shops, galleries and not a high street retailer in sight. From glass ornaments to ceramics, beautiful paintings to hand stitched cushions there is something available to suit all tastes. There are many places to eat and drink in Porthleven, each with their own style and speciality, and most of which enjoy beautiful harbour views. One could dine out on delicious local fish dishes at Rick Stein’s restaurant, or go a bit more adventurous and try out the Cornish-Asian style menu at Kota. Or just simply enjoy an ice cream from the Emporium at the Square! If activities are on the cards, Porthleven has its own cycle hire and there are plenty of cycle paths and challenging coastal walks. Bathing is not recommended as the sea can be quite dangerous on Porthleven’s beach, but why not give kayaking or paddle boarding a go. Vertical Blue Adventures take care of these activities, as well as a few more. Although swimming is not advised, the beach benefits from three glorious miles of sand and steeply shelving shingle, where it is possible to walk in an easterly direction when the tide is out, past Loe Bar. Porthleven beach is next to the granite pier of the harbour and accessed from the village. A seasonal dog ban is in operation from the Harbour Wall to the Blue Buoy steps, but on the rest of the beach there are no restrictions. 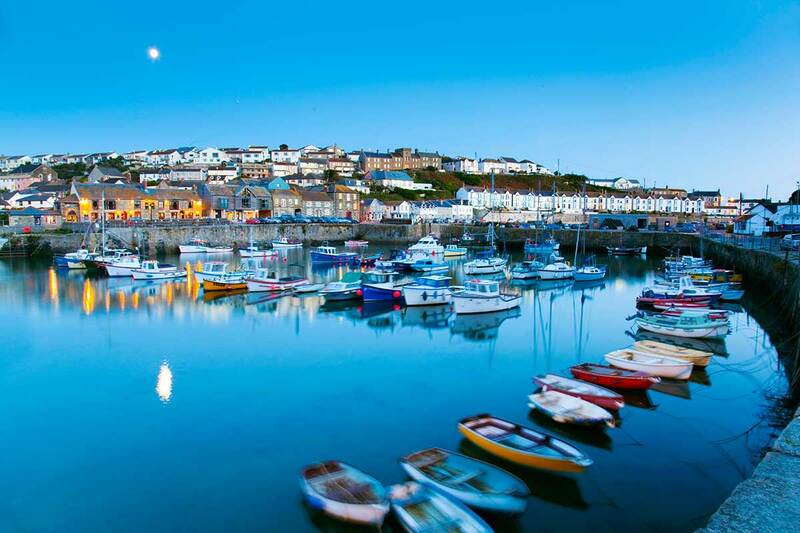 Whilst there are plenty of things to see, do and eat in Porthleven, the village itself is in a great location in terms of other interesting Cornish towns — from the quaint fishing village of Mousehole to the busier port of Penzance.